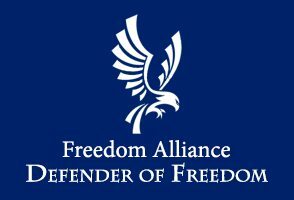 Annually, Freedom Alliance presents the Edward J. Bronars Defender of Freedom Award to an outstanding individual who, in the face of adversity, exemplifies faith, courage, and fidelity to the Constitution and the principles of freedom. 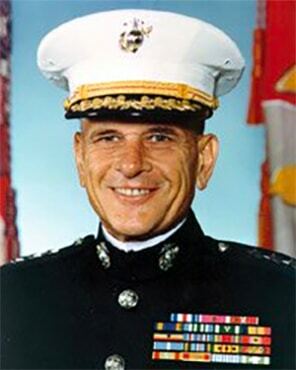 The award is named in honor of LtGen Edward J. Bronars, a United States Marine who served as the first Chairman of Freedom Alliance. He was a U.S. Naval Academy graduate whose 32-year career with the Marine Corps included distinguished service in both the Korean and Vietnam Wars. His awards include the Silver Star, the Bronze Star, the Distinguished Service Medal, and the Legion of Merit with Combat “V” for Valor. 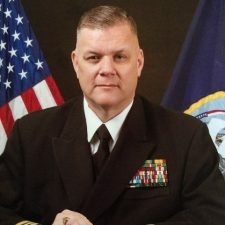 After retiring from the military, General Bronars continued to serve his country as President of the Navy Relief Society and Executive Director of the Association of Military Schools and Colleges. In 1990, Oliver North asked his former Division Commander to serve as Chairman of the newly-formed Freedom Alliance, which he did until our Lord called him home on September 6, 1996. General Bronars was a great leader, a steadfast patriot and an honored war hero. The 2018 Defender of Freedom Award will be presented, posthumously, to Medal of Honor recipients, MSG Gary Gordon and SFC Randy Shughart, for their heroic actions and selfless sacrifice 25 years ago during the Battle of Mogadishu. We hope that you will join us for the special evening to honor American Heroes and their families. 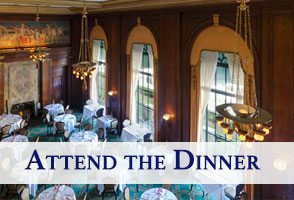 The 2018 Defender of Freedom Awards & Benefit Dinner is sold out! 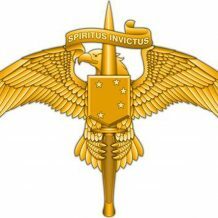 United States Marine Corps Forces Special Operations Command [MARSOC] builds on two centuries of of Marine Corps tradition going all the way back to the Shores of Tripoli, epitomizing agility and the amphibious expeditionary nature at the heart of the Corps’ mission. Today Marine Raiders are deployed across the globe in austere environments to combat terrorism, support our nation’s partners and promote stability and peace. Chaplain Modder was recognized for his faithful service to our nation and unwavering commitment to protect religious freedom. Modder has an exceptional service record and has offered spiritual counseling and ministry to some of America’s most elite warriors including U.S. Navy SEALs. Sergeant Amos is a brave Marine, who was three months into his third deployment when, on June 9, 2011, he lost both legs and broke his pelvis in an IED blast. Matt has not let his injuries slow him down, he is an avid outdoorsman and enjoys participating in events and activities to help other veterans. His service and sacrifice, and his willingness to help others are an inspiration. Captain Klein graduated from West Point in 2006. On October 22, 2012, he stepped on an IED and suffered the loss of both legs, his right arm, and three fingers on his left hand. He spent 18 months recovering from his injuries at Walter Reed National Military Medical Center in Bethesda, Maryland. Staff Sergeant Cottle was awarded for his heroism and service to our country as an Explosive Ordinance Disposal technician in the United States Marine Corps. 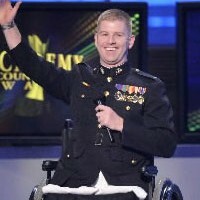 On July 19, 2009, while conducting combat operations, he was struck by an anti-personnel IED, losing both his legs just above the knees. Following medical evacuation and seven surgeries, he underwent several months of recovery at Naval Medical Center San Diego, which eventually enabled him to walk in prosthetic legs every day. 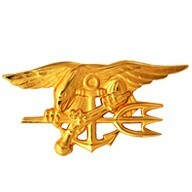 The Naval Special Warfare Development Group [DEVGRU], often and incorrectly referred to as “SEAL Team Six,” were awarded for their highly classified and courageous services to America in some of the most dangerous places on earth. Their most recent commander received the award on their behalf. Few of the many lethal, covert missions he his SEALs have executed for our nation will be publicly revealed. First Lieutenant Kinard was awarded for extraordinary heroism and courage in combat during Operation Iraqi Freedom. Kinard deployed to Iraq with Alpha Company, Second Light Armored reconnaissance Battalion out of Camp Lejeune in North Carolina in August, 2006. Six weeks into his deployment, Kinard was severely injured resulting in the loss of both of his legs. He spent the next four months undergoing 60 surgical procedures to restore his normal body functions and the next year recuperating at Walter Reed Army Medical Center. 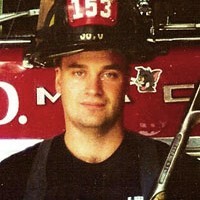 Stephen Siller was awarded for his bravery in the face of grave danger at the World Trade Center on September 11, 2001. Siller was on his way home after just having finished an overnight shift at the firehouse on September 11, 2001, when he heard on his scanner news of the World Trade Center disaster. Siller immediately turned his car around and drove to the Brooklyn Battery Tunnel. With traffic at a standstill, he got out of his car, strapped on his gear and ran through the tunnel. He eventually met up with his Squad members as they rushed into the World Trade Center. 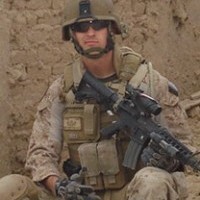 Siller and 10 other members of his squad perished while saving the lives of their fellow Americans. He received the award posthumously. His brother, Frank Siller, accepted the award on his behalf. General Franks was awarded for leading U.S. Armed Forces during Operations Enduring Freedom and Iraqi Freedom. 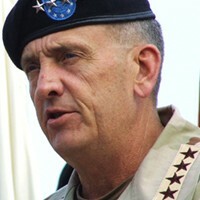 Franks was assigned Commander-in-Chief of United States Central Command in June 2000. He led the attack on the Taliban in Afghanistan in response to the September 11 attacks on the World Trade Center and The Pentagon in 2001. He also led the 2003 invasion of Iraq and the overthrow of Saddam Hussein. 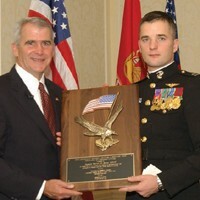 Stephen Toboz was awarded for heroic action against al-Qaeda and Taliban forces in Operation Anaconda. Toboz enlisted in the U.S. Navy in 1991 and became a member of one the most elite Special Forces units, a Navy SEAL. Toboz was critically injured while rescuing one of his fallen SEALs during Operation Anaconda in the mountains of Afghanistan. 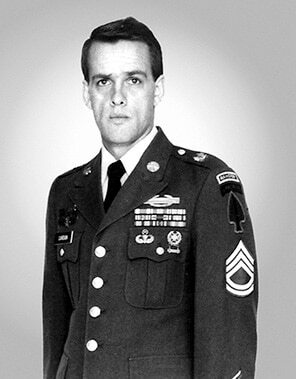 He and his fellow warriors engaged in a twelve-hour firefight in below-freezing temperatures to recover their comrade. 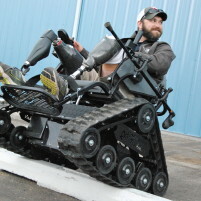 Toboz, whose leg was amputated, was fitted with a prosthesis and later returned to his unit in Afghanistan. Captain Basco was awarded for exceptional bravery in ground combat. Basco was with the Marines who first entered Saddam Hussein’s Al-Azimiyah palace in Baghdad, April of 2003. He was wounded and eventually had to be air-lifted out, but refused to leave until the battle was won. Commander Bucher was awarded for his courage and heroic actions after the USS Pueblo was illegally seized in international waters in 1968 by North Korea. Bucher and his crew were held as POW’s for 11 months and starved and brutally tortured by their captors. They were released two days before Christmas, some of them crippled or nearly blind because of malnourishment. 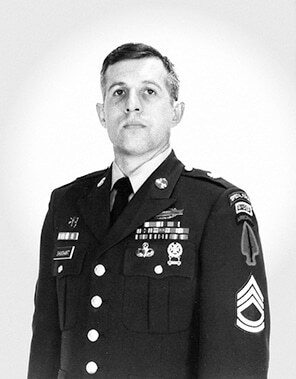 Commander Bucher actions saved the lives of his crew; who were finally recognized for their sacrifice over 20 years later in 1989, when the U.S. government granted Prisoner of War medals to them. 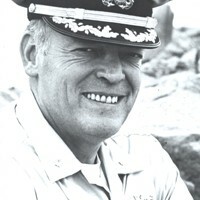 Bucher retired from the U.S. Navy in 1973 and passed away in 2004. Mike Spann was awarded for sacrificing his life while in pursuit of an enemy terrorist. Spann joined the CIA after leaving the Marine Corps in 1999, and served in the agency’s paramilitary wing, the Special Activities Division, which is equipped to arm and train local forces and to conduct covert assaults. 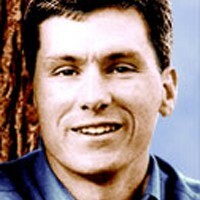 In November, 2001, Mike Spann was killed by the Taliban during a prison uprising in Afghanistan, becoming the first American casualty of the War on Terror. Spann left behind, his widow, Shannon Spann, and three young children, one infant son and two young daughters. Sean Hannity was awarded for his consistent and eloquent defense of freedom and the principles of limited government. His radio show the “Sean Hannity Show” is carried on over 500 radio stations, reaching over 13.25 million listeners weekly. 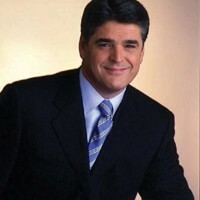 Today “Hannity” on the FOX News Channel is one of the most successful cable news shows broadcasted in America. 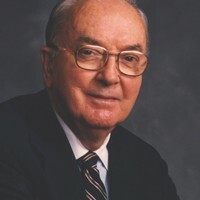 Senator Jesse Helms was awarded for his lifetime of dedicated service to America and her national sovereignty. Helms served for thirty years in the U.S. Senate before retiring in 2002. As Chairman of the Senate Foreign Relations Committee, he was one of the most powerful men on Capitol Hill, known as a fierce foe of Communism, the United Nations and Cuban leader Fidel Castro. He was a master of the complicated Senate rules and won many legislative battles by out-maneuvering his opponents. Helms passed away at the age of 86, in July of 2008. Congressman Barr was awarded for his allegiance to the United States Constitution and the defense of liberty. 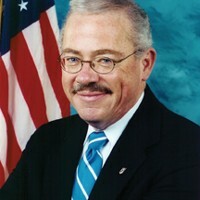 Barr represented the 7th District of Georgia in the U.S. House of Representatives from 1995 to 2003 where he served as Vice-Chairman of the Government Reform Committee, and was a senior member of the Judiciary Committee. 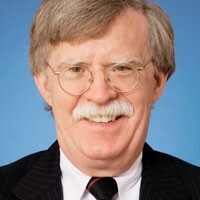 He led congressional fact-finding missions to numerous countries, investigating terrorism, international crime and drug trafficking. General Krulak was awarded for his lifelong, dedicated service in the U.S. Marine Corps. 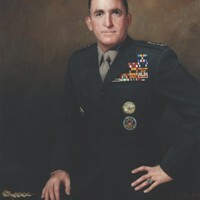 Krulak commanded a platoon and two rifle companies during two tours of duty in Vietnam. Prior to becoming Commandant, he served 35 years in the U.S. Marines Corps in numerous command positions including Deputy Director of the White House Military Office and commander of Marine Forces Pacific. He also served in the Gulf War and Operation Desert Storm. His many awards include the Defense Distinguished Service Medal, the Silver Star, the Bronze Star with Combat “V” and two Gold Stars, the Purple Heart with gold star, the Meritorious Service Medal, and the Kuwait Liberation Medal. Ward Connerly was awarded for passionately defending our founding principle that all men are created equal. 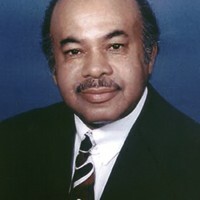 Connerly gained prominence in 1995 when he led a movement that resulted in the University’s Board of Regents voting to end the University’s race-based admissions system. 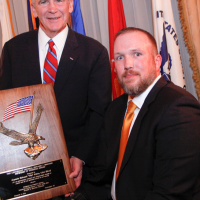 Captain Scott O’Grady was awarded for his courage behind enemy lines after his F-16 took a direct hit from a Soviet-made anti-aircraft missile over Bosnia in 1995, while enforcing the NATO no-fly zone. Captain O’Grady struggled to survive in hostile enemy territory of war-torn Bosnia for six days until he was rescued by United States Marines. The movie “Behind Enemy Lines” is loosely based on his spiritual tale of courage, faith and patriotism. 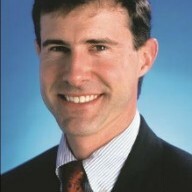 Captain O’Grady is also the author of The New York Times bestseller, “Return With Honor” and “Basher Five-Two” a children’s edition of his story.